Guilt Battle Arena, the frantic couch-multiplayer battle game, has launched a free in-game update with brand new features and game modes. Developer Invincible Cat and publisher ForwardXP listened to the community feedback and made substantial changes to improve the gameplay and deliver a better experience to players. A.I. Bots are now incorporated into the gameplay, giving players the ability to face-off against bots in the main game mode so that they can enjoy Guilt Battle Arena with or without friends. Battle Arena – This option features improved matches and settings that allows couch combatants to jump right into the game. With the Battle Arena option, players don’t have to customize any settings, and are ready to go to battle! Horde (co-op mode) – When a partner dies, they will resurrect in the form of a ghost that can help their living partner recover bullets, among other items. 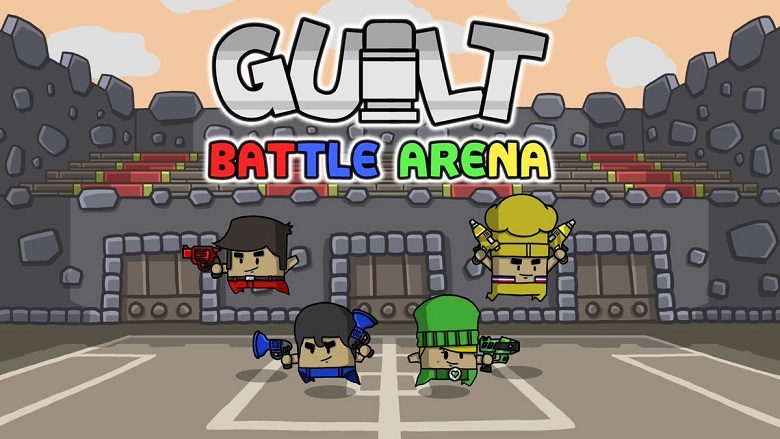 Guilt Battle Arena challenges players to use a single bullet to attack opponents and after shooting, players must rebound their bullet before they can fire again. Players can shoot through raining chickens, dodge exploding cats or lead homing missiles to their opponents to become the best fighter in the arena. The game currently features 7 game modes, 6 modifiers and 47 costumes, and the developers are planning to release two more free updates in the future. Guilt Battle Arena is available for $9.99 on Nintendo Switch, PlayStation 4, Xbox One and Steam for PC. For more information, please visit www.guiltbattlearena.com and view the trailer here.